Born in Rouen, France, on 27 February 1978. 1998 — graduated from the competitive French “classes préparatoires aux grandes écoles” at the Lycée Pierre Corneille in Rouen, France. 2001 — he received a master’s degree from the École Nationale Supérieure de l’Aéronautique et de l’Espace in Toulouse, France, majoring in spacecraft design and control. He spent his final year before graduation at the École Polytechnique de Montréal, Canada, as an exchange student on the Aeronautics and Space Master course. 2006 — graduated from the Air France flight school. This led to an Air Transport Pilot License-Instrument Rating (ATPL-IR). April, 2001 — September, 2001 — Thomas was a trainee engineer with Thales Alenia Space in Cannes, France, where he developed a satellite system design tool using concurrent engineering techniques. From October 2001, he worked as a spacecraft dynamics engineer on remote sensing missions for GMV S.A. in Madrid, Spain. Between 2002 and 2004, Thomas worked at the French space agency, CNES, as a research engineer on space mission autonomy. He also carried out studies on future European ground segment design and European space technology harmonisation. From late 2002, he was a CNES representative at the Consultative Committee for Space Data Systems, working on cross-support between international space agencies. 2004 — Thomas was selected for Air France’s flight training programme. 2006 — he went on to become a commercial pilot for the airline, where he started flying the Airbus A320. Having logged more than 2300 flight hours on commercial airliners, he became a type rating instructor on the A320 and a Crew Resource Management instructor. May, 2009 — Thomas was selected as an ESA astronaut. He joined ESA in September 2009 and completed basic training in November 2010. After graduation, he worked as a Eurocom, communicating with astronauts during spaceflights from the mission control centre. He was also in charge of future projects at the European Astronaut Centre, including initiating cooperation with new partners such as China. 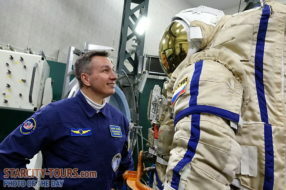 To be ready for a space mission, he received further technical and operational training in Europe, Russia and the USA: on the Russian Soyuz spacecraft, on the US and Russian spacesuits, and on Space Station systems. He took part in exploration training courses: living and working underground on ESA’s CAVES training course in 2011, and underwater on NASA’s Seatest-2 mission. On 17 March 2014, Thomas was assigned to a long-duration mission on the International Space Station. He will be leaving our planet for six months November 2016 as a flight engineer for Expeditions 50 and 51, returning in May 2017. Thomas is a member of the French Aeronautics and Astronautics Association (3AF) and of the American Institute of Aeronautics and Astronautics (AIAA). Thomas Pesquet has a black belt in judo and enjoys basketball, jogging, swimming, squash and outdoor sports such as mountain biking, kite surfing, sailing, skiing and mountaineering. He also has extensive experience in scuba diving and skydiving. His other interests include travelling, playing the saxophone and reading.